A clever, deliciously funny story with moments unexpectedly serious and occasionally sad. Each time I thought I knew where the story was headed there would be a slight twist or revelation that shifted the narrative--enough to keep me on my toes. The ending, while sad, is also a beautiful affirmation of life, that love is what we all seek and all that remains in the end. Our April 1st eds club selection. Don't miss Gabrielle Zevin's new novel, Young Jane Young, coming in August 2017. A. J. Fikry, the irascible owner of Island Books, has recently endured some tough years: his wife has died, his bookstore is experiencing the worst sales in its history, and his prized possession--a rare edition of Poe poems--has been stolen. 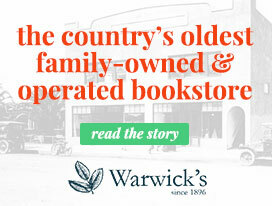 Over time, he has given up on people, and even the books in his store, instead of offering solace, are yet another reminder of a world that is changing too rapidly. Until a most unexpected occurrence gives him the chance to make his life over and see things anew. Gabrielle Zevin’s enchanting novel is a love letter to the world of books--an irresistible affirmation of why we read, and why we love. Gabrielle Zevin is a New York Times bestselling author whose books have been translated into more than thirty languages. 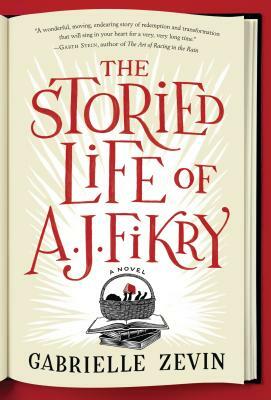 Her eighth novel, The Storied Life of A. J. Fikry, spent more than four months on the New York Times Bestseller list, reached #1 on the National Indie Bestseller list, and has been a bestseller all around the world. She has also written books for children and young adults, including the award-winning Elsewhere.